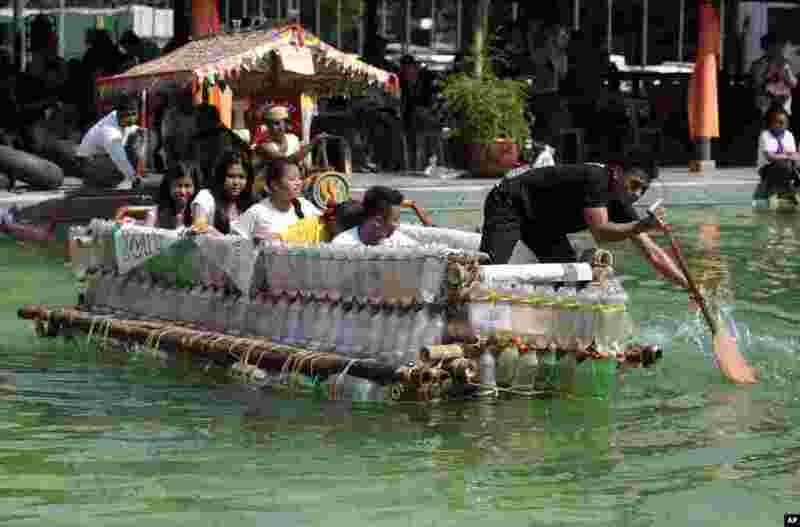 1 Filipinos paddle on a small boat they made with used plastic bottles and other recycled materials to join a boat-making competition in Manila, Philippines. 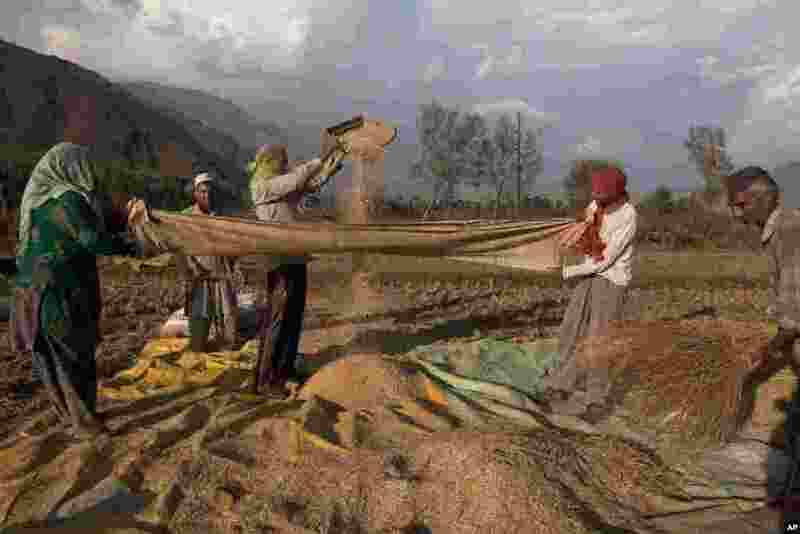 2 Kashmiri farmers separate grain from the chaff after harvest in Boras village, about 40 kilometers (25 miles) northeast of Srinagar, India. 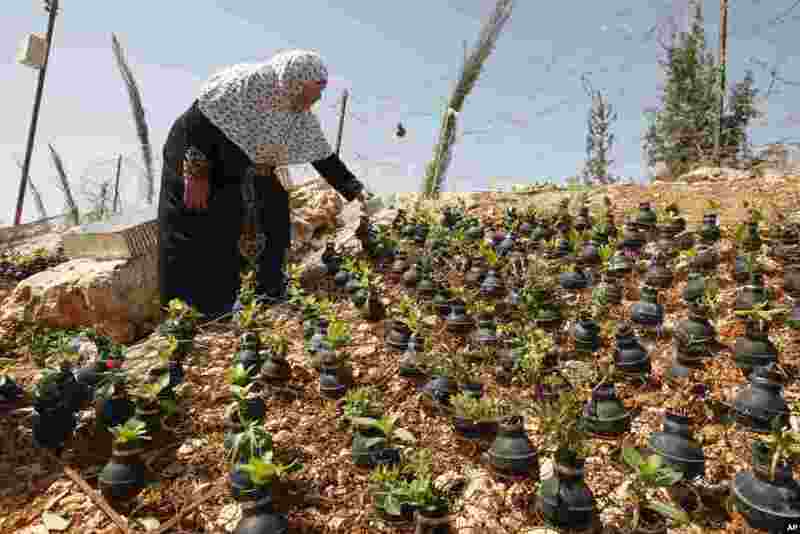 3 A Palestinian woman waters plants growing in tear gas canisters in the village of Bilin, near the West Bank city of Ramallah. The tear gas canisters were collected by Palestinians during years of clashes with Israeli security forces. 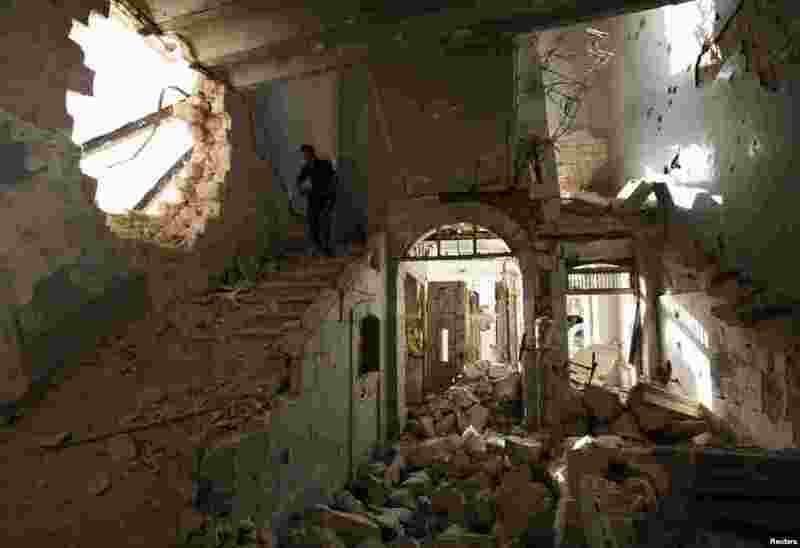 4 A Free Syrian Army fighter carries his weapon as he walks down the stairs of the damaged former Immigration and Passport building in Aleppo, Syria.